The RackBull from Boplan is an innovative rack protection system within the FLEX IMPACT® range, to help prevent rack collapse due to crashes. Rack protectors will not only save you from considerable warehouse damage, they will also help you prevent human suffering! 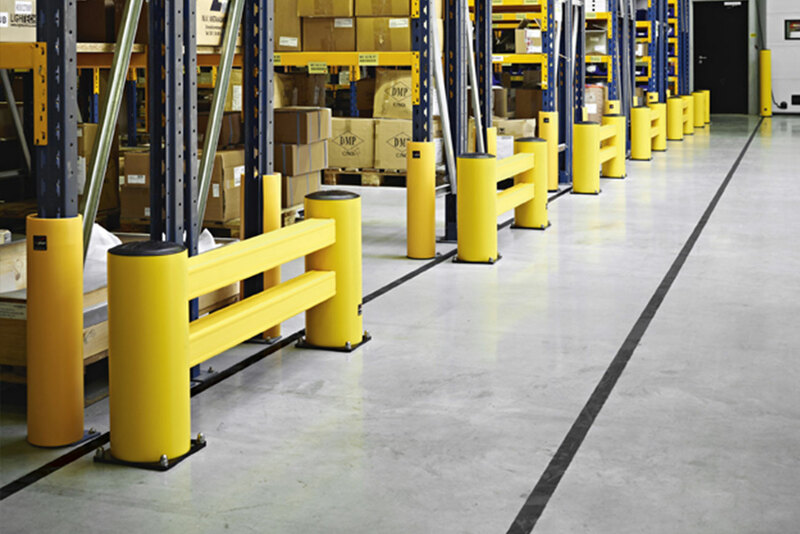 Crashes on racking are among the most common workplace accidents. Forklift operators are often under severe time constraints and have to hurry. A crash against a rack is therefore an accident waiting to happen, and the consequences can be disastrous. More importantly, this can cause life-threatening situations for the forklift driver or other staff. By installing FLEX IMPACT® Rack Protectors, you eliminate almost entirely the chances of this type of disaster scenario.